Lupinus plant reach from 30 cm to 1.5 m in height, depending upon species and variety. They have stiff erect spikes that carry pea like flowers that grow in racemes. Lupin flowers are a variety of colours including purple, blue, pink, white and yellow. The perennial varieties of lupinus come into bloom in the summer, whilst annual varieties will flower about two months after being sown. Some common names for Lupinus include Lupin, Lupine, Bluebonnet and Texas Bluebonnet. Lupinus 'Thomas Church' by Anniesannuals. Lupinus argenteus by Matt Lavin. Common Names: Lupin, Lupine, Bluebonnet, Quaker Bonnet. Genus contains over 600 species. Height: 12 to 60 inches (30 to 150 cm); shrubs/tree up to 120/310 inches (300/800 cm). Growing Region: Zones 1 to 9. As a perennial in zones 4 to 9. Flowers: Annual: spring or summer or autumn; dependent on when sown and species. Perennial: summer. Flower Details: Purple, blue, violet, yellow, white, pink. Peaflower-like. Open whorls. Spikes. Racemes. Foliage: Green to greyish-green. Silvery hairs. Palm-like or single leaflet. Sow Outside: 1/8 inch (3 mm). Annual: before last frost. Spacing 10 to 12 inches (25 to 30 cm). Perennial: before last frost or in autumn. Spacing 12 to 40 inches (30 to 100 cm). Sow Inside: Use peat pots. Soak overnight in hand temperature water or chip seeds. Germination time: two to nine weeks. Temperature 60 to 65°F (16 to 18°C). Seven or eight weeks before expected last frost. Transplant outdoors following the last frost or in autumn. Requirements: Full sunlight or light shade. Good drainage. Soil pH 5.5 to 7. Moist soil. Regular watering. Deadhead. Propagate: perennials can be divided or cut in the spring. 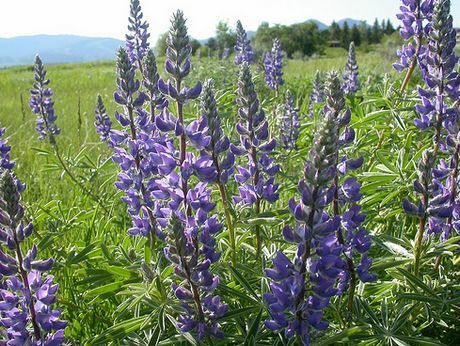 Miscellaneous: Lupins are able to fix their own nitrogen and growing them enriches soil. This makes them an ideal plant to grow close to hungry vegetables such as pumpkins, spinach, and cucumber. Annual varieties of Lupinus should be sown following the last frost; the perennial varieties can be sown in either autumn or just before the last frost of spring. The Lupin seeds should be planted at a depth of about 3 mm, and can grow in either a sunny or partially shaded part of the garden that has good drainage. Lupins prefer to grow in a moist soil that is slightly acidic to neutral (pH 5.5 to 7). When starting to grow Lupins indoors for later transplanting then this should be initiated about 8 weeks in advance. The germination of lupin seeds can take from two to 8 weeks. First the lupin seeds should be chipped and soaked for a day in warm water. They should then be incubated at about 12 to 18 degrees centigrade. Once ready, Lupinus should be transplanted in the garden with a spacing of 30 cm (annuals) or from 30 to 90 cm (small to large perennial Lupinus). Once established Lupinus plants are fairly easy to look after. 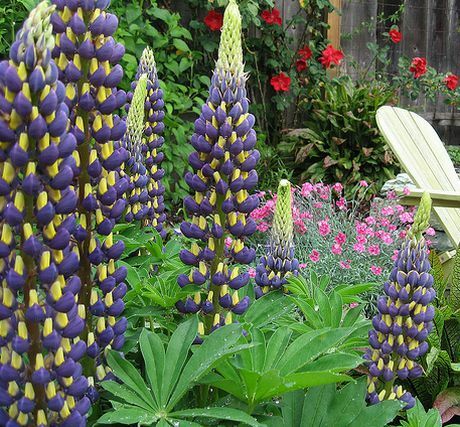 They require a regular watering and the Lupin flowers should be dead headed regularly. It is best to feed them with a fertilizer rich in phosphorous and low in nitrogen. 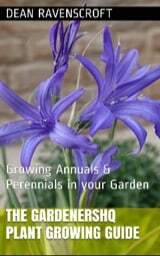 When growing perennials cut the flower stalks down to the base once the flowering season is over. If you require more perennial Lupinus plants then they can be propagated by division or from cuttings in the spring.